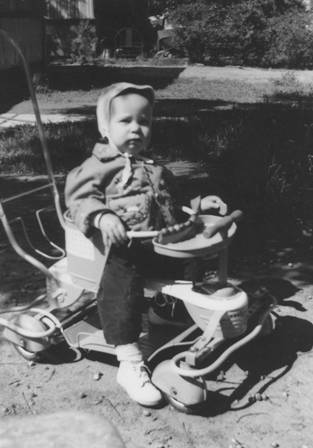 I would estimate that I’m about a year old in this photo. Don’t you just love the stroller? 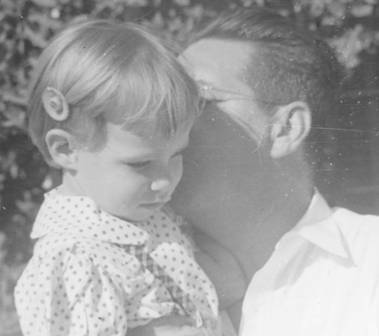 In this photo, where I’m about 2 years old, I’m with my Grandpa Schmitz, my dad’s father. This entry was posted on Wednesday, November 21st, 2007 at 8:33 pm	and is filed under Favorite Photos, Memories. You can follow any responses to this entry through the RSS 2.0 feed. Both comments and pings are currently closed. You’re sure that’s a stroller? It looks like a push ride-on toy.